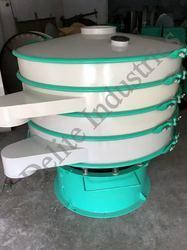 We are a leading Manufacturer of round vibrating sifter machine and vibratory screen separator from Ahmedabad, India. We are Leading Manufacturer of Round Vibrating Sifter Machine From Ahmedabad, Gujarat, India. we are Leading manufacturer of Vibratory Screen Separator.